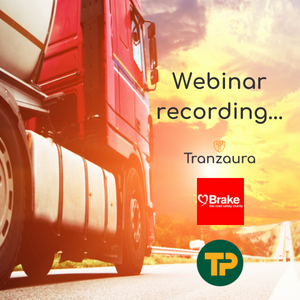 Tranzaura delivered an informative webinar on June 21st, featuring BRAKE, the road safety charity and our valued guest speaker, Graham Bellman from Travis Perkins plc around ‘Driver engagement in a digital world to improve safety’. This informative discussion explored how fleet drivers can become the most disenfranchised part of any operation because of loneliness in the job and the remote nature of what they do; consequently resulting in a disconnected frame of mind and therefore unsafe driving behaviour. In the former, traditional world we would naturally solve these issues through face to face meetings, training and communications, but we know that cannot always be possible when restricted by resources and operational tasks & costs get in the way.